11 September 1945. Around this time, the SEAC finally gives the MPAJA formal permission to occupy and maintain order in areas no longer under Japanese control. The guerrillas have already been doing so of their own volition since receiving word of the Japanese surrender. 11 September 1945. Barely a week after a Republican administration was proclaimed in the city, a massive pro-independence rally is held in Surabaya. A second mass demonstration follows on the 17th. Such popular expressions of support for merdeka (freedom) are echoed across the country. 11 September 1945. A day after the official surrender on Labuan of Japanese troops in British North Borneo, Australian troops enter Kuching, capital of Sarawak. 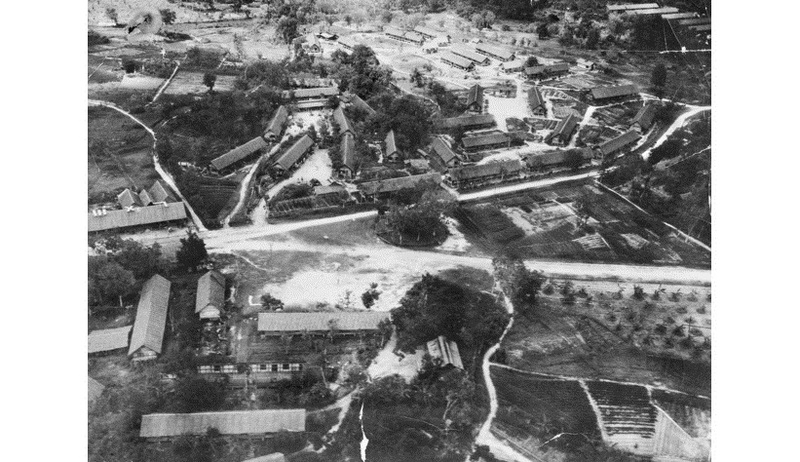 Later that day they liberate Batu Lintang, a large camp for POWs and civilian internees on the edge of Kuching. The Australian 9th Division now takes effective control of North Borneo and Sarawak and establishes a military administration. 11 September 1945. Occupation authorities in Japan designate 39 former Japanese leaders as war criminals and order their arrests. Among their number is General Tōjō Hideki, who as prime minister presided over Japan’s attack on Pearl Harbor in 1941. Tōjō has already attempted suicide before being taken to prison. He is later found guilty at the Tokyo War Crimes Tribunal and hanged in December 1948. Eventually 5,700 Japanese military personnel will be tried in war crimes tribunals throughout Asia.